For dual probe HER2 FISH assay, the 2013 CAP/ASCO guideline recommendations lowered the HER2/CEP17 ratio cut off for HER2 amplification to ≥2.0 and introduced an average HER2 copy number criterion for HER2 amplification (≥6.0/cell) and HER2 equivocal categories (≥4 and <6/cell). The HER2/CEP17 equivocal category is eliminated. The aim of this study is to assess the impact of 2013 HER2 FISH testing guideline recommendations update on the assignment of HER2 status with dual probe HER2 FISH assay. 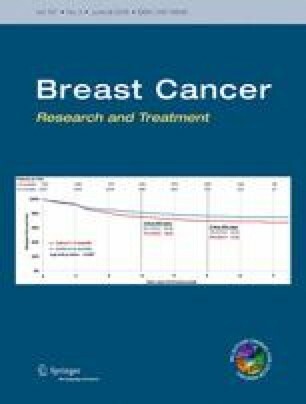 Dual probe HER2 FISH assay results on breast cancers from 09/2009 to 07/2015 that underwent reflex HER2 FISH testing after equivocal HER2 (2+) immunohistochemistry (IHC) were reviewed. HER2 copy number, CEP17 signals, and HER2/CEP ratios were noted. HER2 status was assigned as HER2 negative (HER2−), HER2 equivocal (HER2e), and HER2 amplified (HER2+) by applying both 2007 and 2013 CAP/ASCO HER2 FISH guideline recommendations and results were compared. New guidelines reclassified HER2 FISH status in a significant proportion of cases (8.3 %, 69/836; p = .021). There were 22 (2.6 %) more HER2+, 17 (2.1 %) more HER2e, and 39 (4.1 %) fewer HER2− tumors. Change of HER2 status correlated significantly with ≥3 CEP17 signals (38 vs. 2 %; p < .001). The 2013 CAP/ASCO guideline recommendations for HER2 FISH testing by dual probe assay increased the HER2 amplified and HER2 equivocal tumors. Increase in HER2 equivocal tumors would potentially increase the frequency of repeat HER2 testing. Tumors with ≥3 CEP17 signals, so-called chromosome 17 polysomy, are more likely to be impacted and classified as HER2 equivocal.